Every dog has his or her own story but there are a lot of overlapping situations that cause Italian Greyhounds to end up in shelters or to be surrendered to rescues by their owners, these are things you need to know before adopting an Italian Greyhound. Italian Greyhounds are a unique breed with quirky traits their owners fall in love with, but, in that same breath there are a lot of difficulties each Italian Greyhound owner faces during the life of their dog. 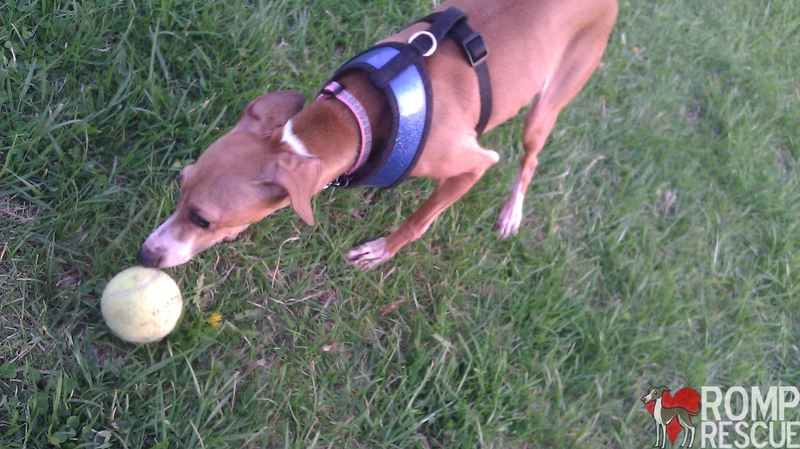 Some people pay for or adopt an Italian Greyhound not knowing the challenges they will face. Be an educated potential pup parent and decide for yourself if you have a lifestyle and personality to make a 10-15 year commitment to a dog from this breed. 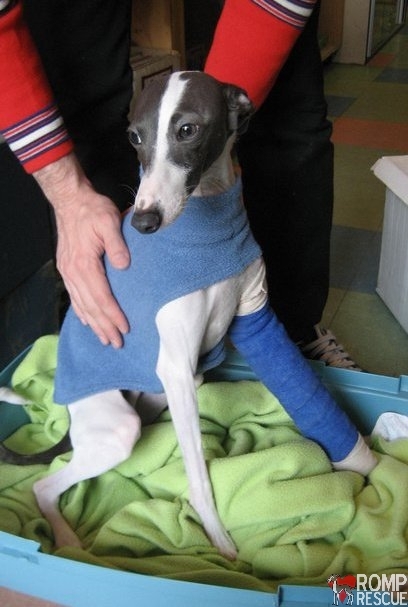 Each year, Italian Greyhounds across the country do the heart-wrenching – break their leg. It is most common for an IG to break its leg while a puppy but adult IG’s are not immune. Why do they usually break their leg(s)? Jumping. These dare devil dogs love to bound from sofas, exit cars and just jump for joy but landing the wrong way can cause injury to their thin legs. In some situations people have sat or stepped on an IG and broken one or more of their apendages. Furthermore, children that aren’t aware of how to ‘be nice and gentle’ with this breed can be too rough and cause the IG to break a leg or two as well. If your IG breaks its leg, it’s an expensive undertaking to fix and can easily cost upwards of $3,000. An IG breaking his or her leg coupled with a family facing financial hardship is a common reason why people surrender their broken legged IG. Be sure you are financially stable enough to afford an Italian Greyhound. If you love the breed but would not be able to take on the cost of care if your pooch broke a leg, consider purchasing pet insurance! It’s a responsible way to mitigate risk and put yourself in a position where, if the unthinkable happens, you can keep your pet and not lose the shirt off your back. For more information on pet insurance, you can look into 24petwatch.com. If you do not want to consider / can’t afford pet insurance and you won’t be able to pay for vet services, adopting an Italian Greyhound is not a good idea for you or for the Italian Greyhound. Another common reason why someone adopting an Italian Greyhound may surrender their pet is because they are notoriously hard to potty train. If you have patience and are consistent, your Italian Greyhound will most likely learn to potty outside or potty on a pad. However, for first time pet owners or someone that is accustom to an ‘easier’ breed, this might pose quite the challenge. People that are not ready for an intense and long potty training experience get a rude awakening upon adopting or purchasing an Italian Greyhound. Decide for yourself if you could deal with accidents in the house. There are a lot of ways to help your IG become potty trained but some Italian Greyhounds just never come around. Do you have the personality to provide patience and consistency when potty training your pooch? Will you give your pet the boot if they potty in the house or are never fully potty trained? If potty in the house is the end of the world or not tolerable, please consider another breed. 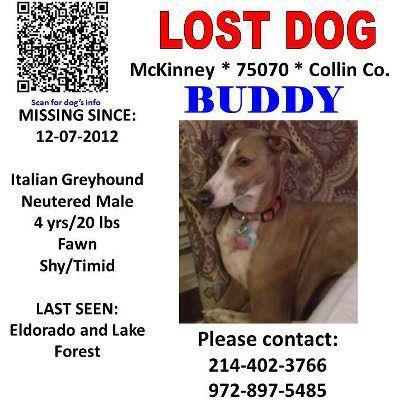 Losing your Italian Greyhound is another way they end up in rescue. It is sad but true, Italian Greyhounds love to bolt and when they do – they are often never found. Let this be a lesson, your IG will always need to be kept on a leash when not in an enclosed area – this includes preventing them from running out open doors/windows/jumping over fences. This breed, when they run off, often don’t come back when called. Some will get hit by a car, get forever lost, or get hurt by another animal. When an Italian Greyhound is lucky enough to survive the harsh elements of the outside world and someone spots this delicate beauty, they often are turned over to rescue. Do your best to keep your IG on a leash at all times, out of harms way, and realize it is in their nature to run wild without thought if given the chance. 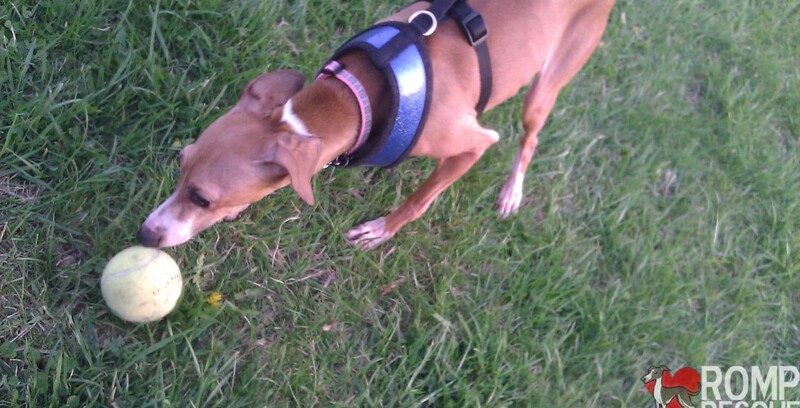 If you want a pet that will walk nicely next to you off lead, adopting an Italian Greyhound is not a good idea for you. If you do lose your pet, sites like http://lostmydoggie.com/ can help spread the word. We also have an article on what to do here. These dogs are emotionally sensitive, it’s both good and bad. They respond best to positive reinforcement and food reward training. They need to be bribed to learn things as they have a ‘what’s in it for me’ type of attitude. This does not mean they are not intelligent, rather, they are stubborn. 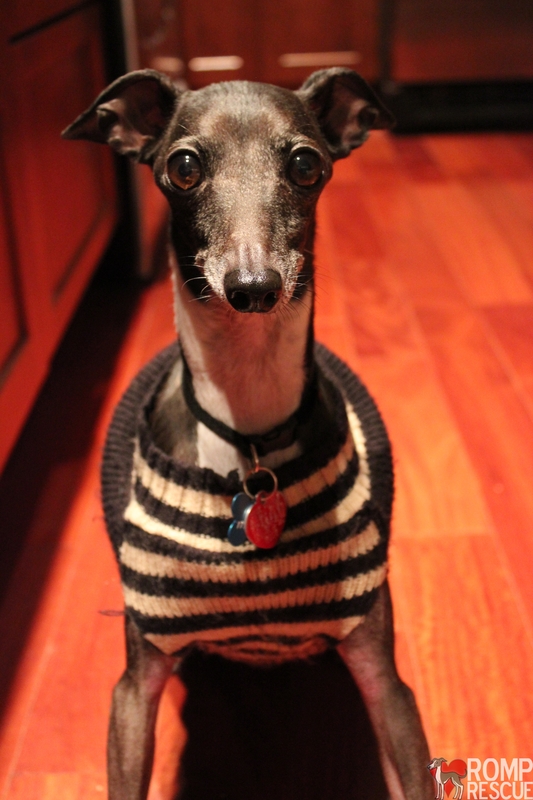 For an inexperienced pet owner adopting an Italian Greyhound, it is sometimes challenging. To teach your Iggy basic commands is a huge accomplishment. Although this isn’t usually the only reason why an Italian Greyhound is relinquished to a shelter or rescue, it can be a leading factor. If you are not consistently kind or have a temper, adopting an Italian Greyhound is not a good idea for you. Last, but not least, they are a breed that needs a lot of socialization. Most IG’s love other dogs and love their owners to death but they do not do well with strangers and have a naturally shy personality. 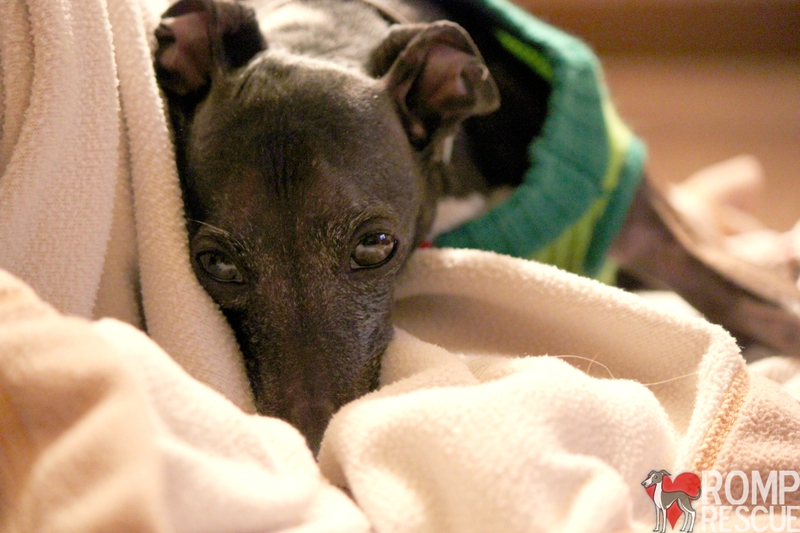 If you have a lot of change in your life, an Italian Greyhound typically will get stressed as they do not adapt well. With persistent and consistent efforts your IG can become as friendly as a golden retriever with strangers and can enjoy going along for the ride where life takes you – but that is more often the exception to the rule. This is not a leading factor but it is still a factor in an Italian Greyhound being given up to a rescue or ending up in a shelter. If you need a pet that welcomes your guests, you have a lot of people in and out of your life, or you do not have any consistences in your life, adopting an Italian Greyhound is not a good idea for you. On a positive note, there are a lot of reasons why people love this breed. They are very polite, graceful, shadows that follow their owners around, playful, great lapdogs, have a lot of love to give, don’t bark much, don’t shed much and they have a loving and whimsical personality unlike any other breed (among other things). 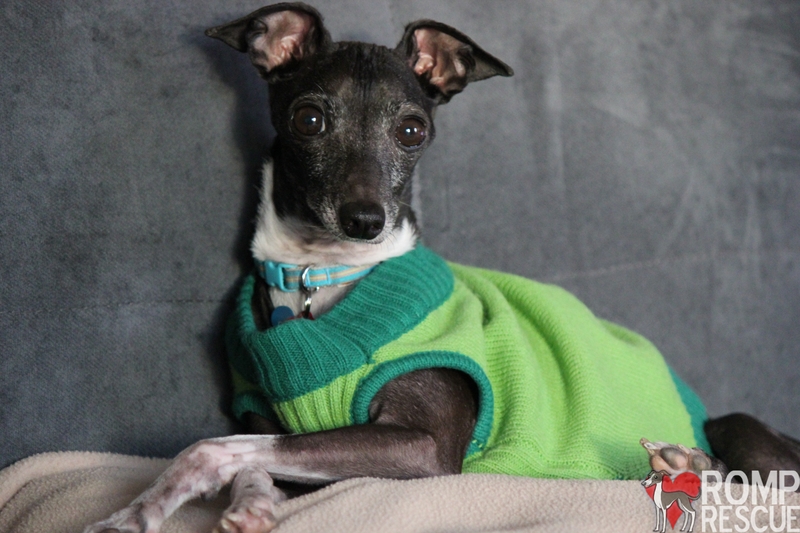 Think about if you have what it takes to raise, train, and live with an Italian Greyhound as they have a unique set of challenges that can be ahead (but, they are worth it). This entry was posted in About IGs, Adoptable Dogs, ALL, Tips and tagged adopting an ig, adopting an italian greyhound, adopting and iggy, break a leg, break leg, broken leg, emotionally sensitive, end up in rescue, go missing, greyhound, ig, iggy, italian, italian greyhound, missing, need to know, personality, potty training, relinquish, rescue, ROMP Italian Greyhound Rescue, ROMP Rescue, run away, run off, shelters, shy, surrender, things to know. Bookmark the permalink. We adopted an Italian Greyhound who had been a breeding mill dog. She was rescued from the mill at 2 years old, so she’s rather young. Nonetheless, ALL of the points made in this article have applied. She broke her leg right before we adopted her. The rescue is covering all costs with that, but I did not hesitate to get pet insurance. One of us is always home, so house training is coming along. However, despite incredible consistency, after 3 months with us she has yet to go more than 7 days without an oops. We consider that pretty good, though. The biggest issue is that they are so emotionally frail. This dog absolutely loves me…gets excited when I come home, begs to be in my lap, sleeps against my chest. But even so, she still cowers from me if I try to pick her up. I have to let her come to me when possible. And she does not trust men at all. She has not accepted my guy, and is so fearful of him that she pees if he tries to pet her, shakes, and has snapped at him repeatedly. He’s the one home with her during the day, so it makes it difficult. Luckily, he is patient and extremely kind. He just keeps trying. We’ve seen some very minor and slow improvement, but it’s going to take a while for her to get comfortable with him, if she ever does. The abuse suffered as a breeding mill dog has definitely taken its toll on this dog. They just cannot be treated harshly. A calm, kind, loving environment really is a necessity. That said, she is the sweetest and most beautiful dog, and we look forward to her continued progress as a family member instead of breeding stock.